Upon nomination of the re-elected Prime Minister Denys Tezdzhanenko, the President for Life has signed a Decree establishing the new government and assembling the new cabinet of the Lostislandic ministers. The new Cabinet of Ministers: Prime Minister and Minister of State Security Denys Tezdzhanenko, Deputy Prime Minister and Minister of Minority Affairs Maria Ostroukhova, Minister of Innovation, Research and Development Reb Mordechai Linhart, Minister of Foreign Affairs Ilian Kostov, Director-General of the Civil Guard Kristijan Nevtonenko. In accordance with the Prime Minister’s promise to “clean out the rat nest” and rid Lostisland of inefficient leadership, only one member of the previous government retained his position — Ilian Kostov. A Czech real estate agent and veteran Lostislandic politician, he has served as the Minister of Foreign Affairs since October 2013. Mr. Tezdhzhanenko’s running mate, a Russian socialite and opera singer Maria Ostroukhova became, as expected, the Deputy Prime Minister, but also received appointment to the newly established office of Minister of Minority Affairs. 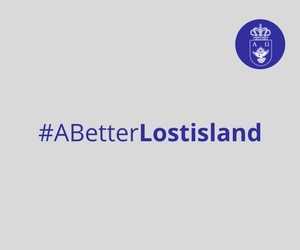 Historically a multicultural, multilinguistic and multipolitical society, Lostisland has always been home for different minorities and this appointment marks an important milestone in protecting their rights and freedoms. Another new Government Ministry — of Innovation, Research and Development — saw the appointment of Mordechai Moshe Linhart, an Orthodox Rabbi, Freemason and running mate of Elisha Mendelson, who finished second in the race for Prime Minister. In his office, Reb Mordechai will be responsible developing and implementing new projects and innovations: in short, for moving Lostisland forward. The President has also appointed Kristijan Nevtonenko as the new Director-General of the Civil Guard, to replace Andrey Orlov deposed for high treason. In addition to nominating others, Mr. Tezdzhanenko nominated himself and was appointed by the President to the office of Minister of State Security, position that has been vacant since November 2017 as none of the applicants managed to fullfill the convergence requirements. 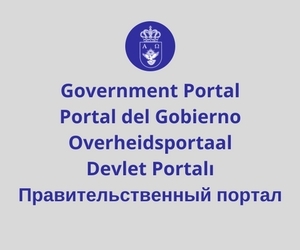 All the other ministries have been abolished for the time being, in accordance with the Lostislandic tradition of finding positions for citizens and not other way round. More information about the new Members of Government is available on the Our Team page.